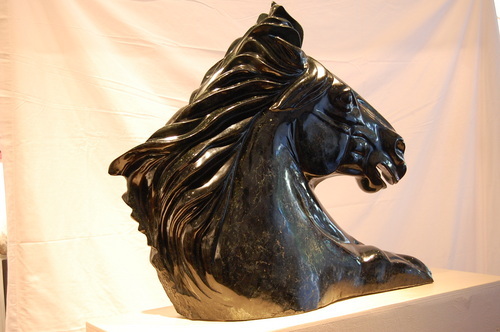 Midnight Warrior- 616 lbs serpentine Stone(also known as BC Jade and Black jade) horse head. 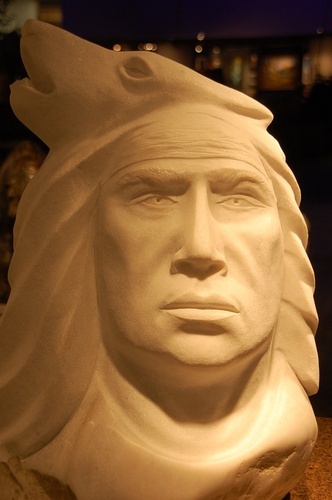 The blaze on the forhead is white Jade. 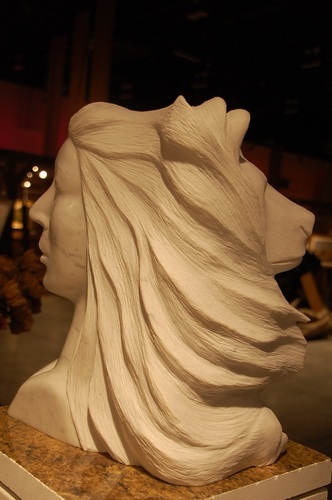 White Wolf Warrior- White Marble. 250 lbs The Warrior is connecting to his spirit guide, which is the white wolf. there is wolf tracks on the back of the sculpture. 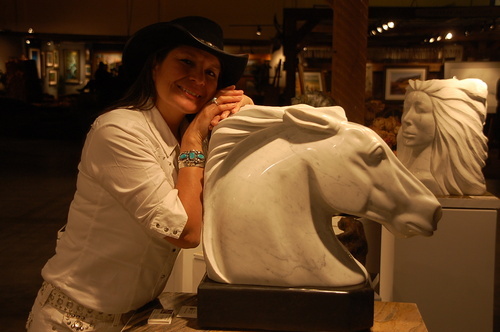 Guardians and Angels Amongst us- Carrara Marble from Italy. 118 lbs. There are guardians from the animal kingdome that protect and guide us in our life's journey, and there are angels that protect us in our life's journey. they are both amongst us all. 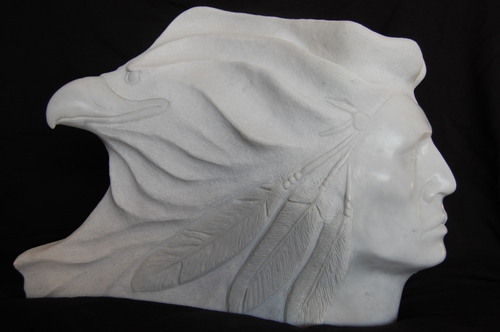 Eagle Warrior- the warrior is connecting with his spirit guide which is the Eagle. The streght and power in each expression indicates the true connection. Carrara Marble.